To His Friend J. H.
Alexander Brome, born in 1620, was an English poet, famous for his many drinking songs and satirical verses against the Rump Parliament. A lawyer by profession, he was a prime supporter of the Royal Party during the reign of Charles I and was also instrumental in aiding the Restoration Movement. In 1661, following the Restoration, Brome published a number of songs and poems on a variety of subjects, including love, society and nature. These were followed by mostly political writings that supported the royalists. Brome had his practice at the Lord Mayor’s court and was very loyal to the establishment during his tenure. This loyalty led him to compose a number of poems in praise of his party. Needless to say, this was done at great personal risk as his works had good dose of satire and ridicule towards the ruling rump parliament. Whether this was a willful attempt at inspiring resentment or a truthful portrayal of affairs, can only be judged by the reader. 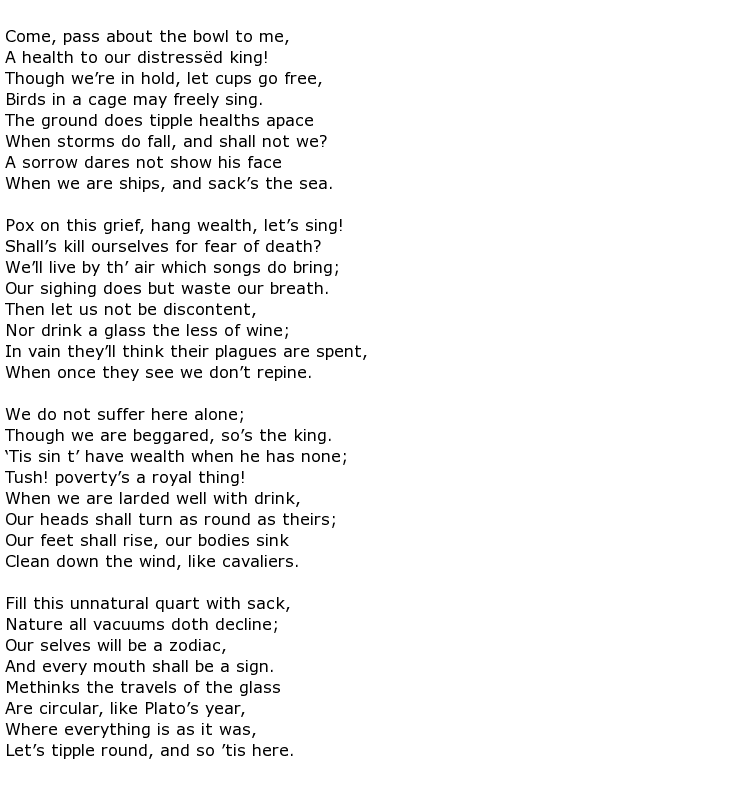 Brome’s poems are generally written in measures and are composed with a great variety of rhymes. They tend to jump ideas and harmony with considerable ease and have many quick turns in them. The satirical strokes are especially very enjoyable to read and it is obvious that his poems must have rankled many noblemen among the rump parliament. According to Baker, Brome was the author of a good percentage of satirical songs that poked fun at them. The ‘English Anacreon’ is a fitting title given to him by Edward Philips, a reference to the wit and gaiety, which are common in his poems. This reference was first mentioned in Theatrum Poetarum and has since become a popular way of referring to Alexander Brome. 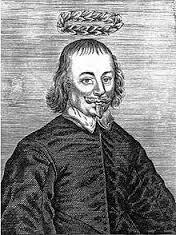 Izaak Walton has also written in high regard about Brome and has painted a very favourable picture of him in the eclogue prefixed to his poems. One of his famous works, which we have since lost, is ‘A Congratulatory Poem on the Miraculous and Glorious Return on Charles II’. This has supposedly first published in 1660 but has been lost in the annals of time. Brome was also known for his numerous translations, including ‘Translation of Horace’ in partnership with Hawkins, Holliday, Fanshaw, Cowley and Ben Johnson. He also had the intention of translating ‘Lucretius’ but somehow the idea did not come to fruition, however in 1654, Brome published a comedy known as the ‘The Cunning Lovers’. In fact it was acted at the private house in Drury Lane. He also edited a number of plays by Richard Brome, a namesake who was of no direct relation to him. In many ways, Brome was one of boldest political poets of the late 17th century. He will be remembered due to the charm, sophistication and wit that are a pertinent presence in his poems. He passed away on 30 June 1666.